I have written multiple posts about how much I admire and respect neurologist extraordinaire Dr. Bill Bush; you can then imagine how thrilled I was when he started seeing appointments at Friendship on Thursdays. We are so lucky to have such an amazing neurologist right in the hospital that we can refer clients to. I think the story of Puck the Corgi illustrates just how gifted a clinician Dr. Bush is and the cutting edge treatment options he has available to his patients. Puck presented to Friendship after having multiple seizures for the first time in his ten years of age. Dr. Bush evaluated Puck and immediately suspected that he had a brain tumor, he literally pointed to Puck’s forehead and said, “There is something going on right here”. Sure enough an MRI at Bush Veterinary Neurology Service (BVNS) in Leesburg confirmed that Puck had a tumor in the olfactory-frontal lobe of his brain. Puck immediately went to surgery for a transfrontal craniotomy to have the tumor removed. A post-operative MRI showed that Dr. Bush and his resident Dr. Hague were able to remove the entire tumor. Puck recovered quickly and was back home in a few days. 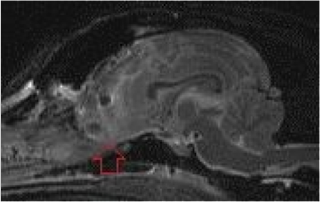 MRI post-op, no more tumor! Here is where it gets really cool! 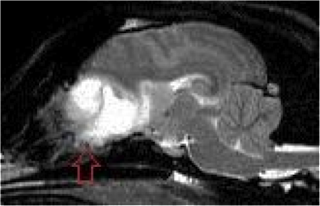 The tumor was submitted to the Ohlfest Brain Tumor Laboratory at the University of Minnesota where they are performing groundbreaking research in treatment of brain tumors for both dogs and humans. They were able to use Puck’s tumor to create a vaccine that will be administered under his skin to target and kill any remaining tumor cells. 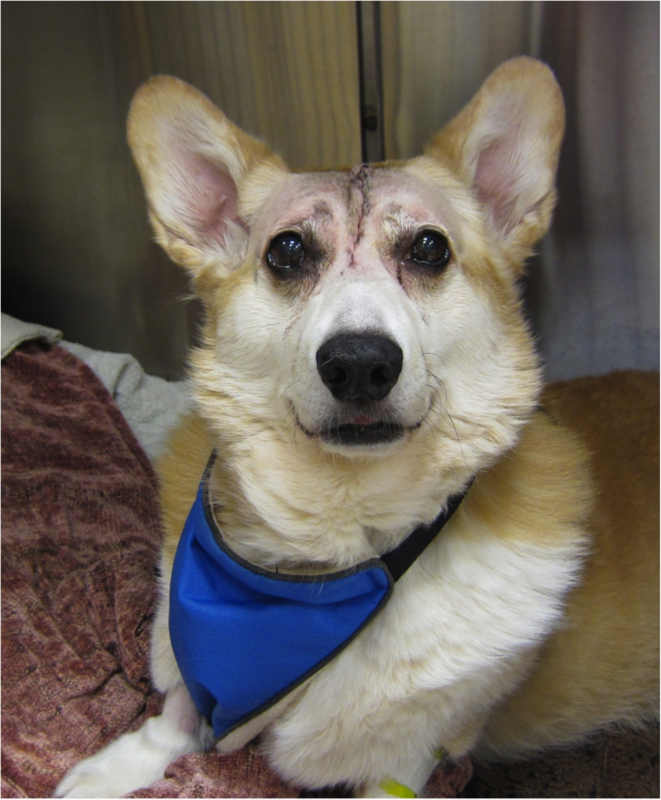 Four months after surgery Puck is doing great and even updates his fans on his very own Twitter feed @puckthecorgi. Visit BVNS’s website for more amazing stories of dogs and cats that Dr. Bush and his team have helped. Remember he is available for consults at Friendship on Thursdays, visit our website for more information.